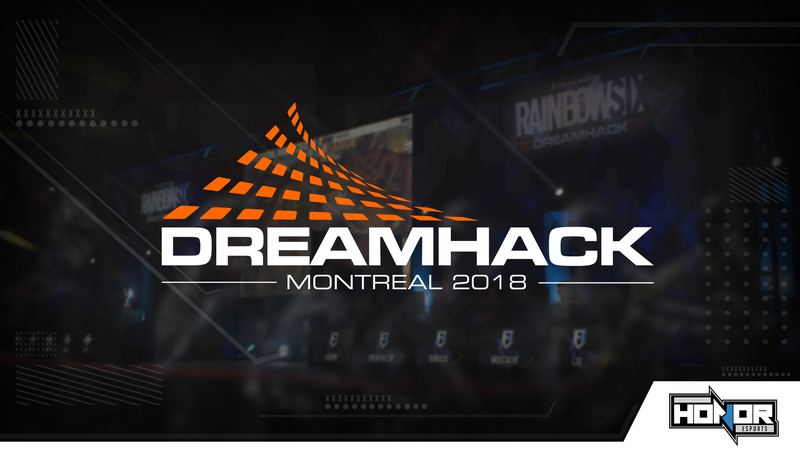 With Honor Esports’ first major North American LAN, DreamHack Montreal, came our first endeavour into the Rainbow 6: Siege scene. Honor was represented by a full Canadian roster of up and coming players accompanied by Co-Founder Kyle “SSHD” McClelland. The team started out in the BYOC tournament to qualify for the group stage of the Pro League tournament. Amazing plays from Freakyl and the rest of the team powered Honor through opponents such as the Montreal Grizzlys giving Honor first place and winning the BYOC stage of the tournament. After our last BYOC match the team waited with anticipation to see which Pro League group they would get placed into for the group stage of the tournament. The players knew that, no matter which group they were drawn into, they would be the underdogs and wanted to give the DreamHack Montreal crowd something to cheer for. After moving their gear from the BYOC area to the practice area the team was informed they had been placed into group C and would play the winner of DreamHack Valencia, Team Secret. Honor started out strong on the first map but after some close rounds Honor fell to Team Secret and moved to the lower bracket where they would face Noble Esports. This concluded day 1 of DreamHack and during the evening the team prepared for their next stage appearance looking over strategies and VODs. Day 2 was elimination day and the other BYOC teams were struggling to take rounds from the pro teams. It was Honor’s time to take to the stage once again, this time we would face Noble Esports. Honor put up a tough fight with rounds going both ways, however in the end Noble managed to take the series with a score of 6-2 on Clubhouse and 6-3 on Border. Despite these losses the team gained valuable stage experience as well as earning respect from the pro league teams. Now the Honor Rainbow 6 squad look to keep improving and building upon their experience to become a team that can take the Northern Arena Canadian Nationals trophy home!